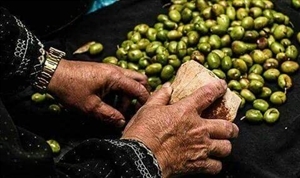 Olive tree is considered one of the blessed trees that were mentioned in Qur’an and it’s also one of the blessed fruits that give great benefits to the human body. Olives trees are very famous in our region, their branches and stems are used to provide warmth in winter. The nutritionists around the world always recommend eating a hand full of olives (7 olives) daily to keep a healthy and balanced diet. Here at “Mayar Kindergarten”, knowing the benefit of olives and teaching our beloved children this value, we will be pressing olives. Please dear mommy make sure you send a garlic pestle with my name on it.